100% Free Facebook Dating App better than just Facebook for online dating! You got to add the 100% free Facebook dating app Friends Match Me for the best online dating experience – Facebook is just not enough – it wasn’t made for dating, but socializing with your circle of friends and co-workers or acquaintances – NOT DATING! On Facebook you might know what someone had for breakfast, how the traffic was on their way to work, what the secretary was wearing, how lunch at the corner of the block was…etc. it’s like in the popular show Seinfeld, stuff…or the show about ‘nothing’ – interesting stuff, or it’s just “on”, but not meaty – or juicy if you’re vegetarian. Depending on how much info the person shares and whether or not you have access to that info based on their privacy settings/Friend Lists, you might not know if that person who catches your eye on Facebook with the cute smile and looks smart is single, looking to date, interested in women or men, what their likes are, their biggest turn on or biggest turn off, how they would describe themselves, their personality, their nationality, religion, political views, what work they do, etc. etc. – you might just have a small little profile photo instead of uploaded photos they want you to see, that represent who they are, and videos…. And of course, Friends Match Me is totally FREE just like Faceboook…so come on by…the more the merrier, right?! Check the Friends Match Me free dating site homepage for updates on countries where members are signing up from! 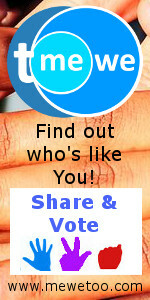 Friends Match Me is the Newest Dating Site Launched August 2011 with Members Worldwide! This entry was posted in Dating App Features, Dating App Intro and tagged dating app unique features, dating profile features, dating videos, facebook dating app, facebook friends, free dating app, free dating website, free facebook dating app, mutual friends, online dating insight, safer online dating. Bookmark the permalink. One Response to 100% Free Facebook Dating App better than just Facebook for online dating!